It's been stinking hot and humid here. We're sweltering in the heat because we don't have an air-conditioner:( As I write this there is a nice cloud cover and it's drizzling yet still humid. 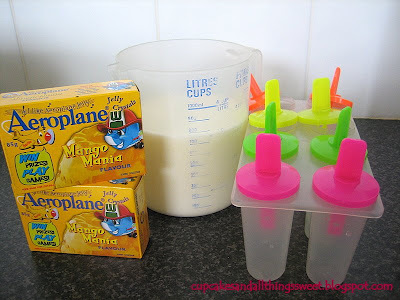 Because it's hot it's nice to have a few cold treats on hand so Little Chef and I have been busy in the kitchen making Fruity Milk Pops. 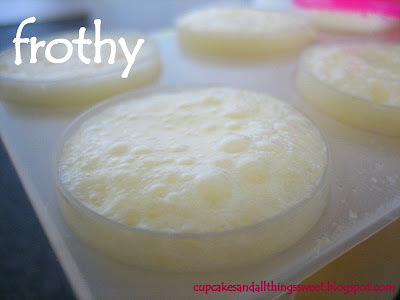 These are fantastic because there are only TWO ingredients and are a breeze to make. I recommend freezing these overnight. After about 5 hours, ours weren't frozen and I thought we'd done something wrong. Actually, I thought it went wrong because I let Little Chef do A LOT of the work but no, they just needed a lot longer to freeze. I know I know, I should put a bit more faith in my little cooking buddy. 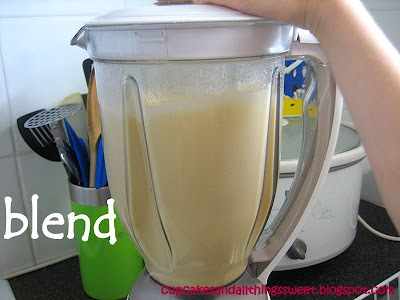 Blend the two packets of jelly and cold milk in blender for 3 minutes. It should be frothy (airy, with lots of bubbles). 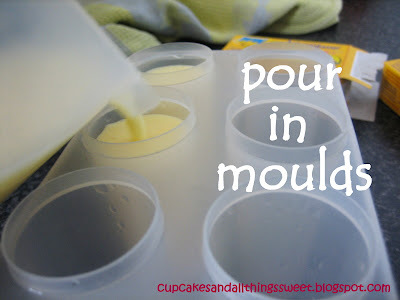 Pour mixture into ice block moulds and freeze. Little Chef: These are really good. The Sugar Fairy: You can feel the little jelly bits, interesting texture. Mr Cupcakes: These are weird. Hello. I love all the ideas you have here. All he cupcakes are cute as well as the apple cherry pies. 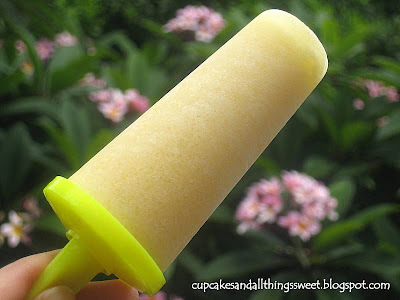 I like this popsicle idea too; we always used to make these with kool-aid, but I think I like your idea better. That's such a great idea! I love it! 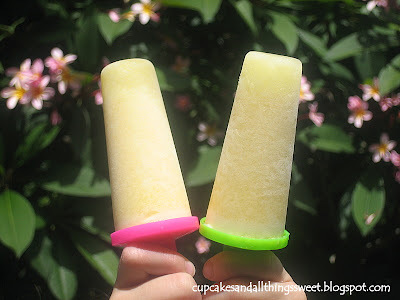 Now I just have to clear out my freezer so I have room to make these! Snooky Doodle: Yup, these are great for summer. This Girl Loves To Talk: Blue pops would be so much fun! Go the Blue!